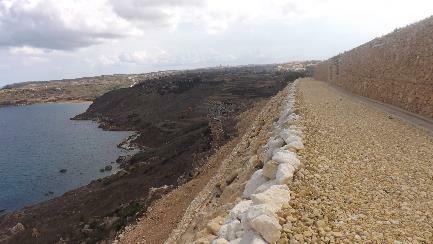 FT and DTR (a Maltese Consultancy) were appointed Clients Representative for Supervision and Project Management Services for the Rehabilitation and Restoration of the Gozo engineered landfill, Malta, into a park, financed by the EU Cohesion fund. A primary objective of the trials was to review traditional technical approaches and make recommendations as may be appropriate. The park now provides an attractive and safe environment accessible in all weather for locals and tourists. FT used its specialist background in the management of low calorific landfill gas to advise the Client on modifications to installations and change management philosophies to mitigate the risk of ignition of potentially explosive landfill gas. Reduced energy costs by phasing out drip irrigation following the establishment of shrub root systems and use of groundwater recharge and pumping to reduce imported volumes of tankered water for irrigation. Management and oxidation of low calorific landfill gas to mitigate explosion risks. Settlement advice to facilitate photovoltaic installations. Energy dissipation technologies to manage surface runoff.